When your company can leave nothing to risk, turn to Koch Insurance Group to discuss our options for umbrella insurance in Spring, TX. This extra liability insurance helps protect from major claims and lawsuits that might not otherwise be covered. One of the most exciting benefits of investing in umbrella coverage is the cost-to-benefit ratio. These policies are surprisingly affordable in most cases, meaning there's a mitigated financial risk in adding it to your existing policy. Increments vary but are usually in the amount of $1 million in additional coverage. To learn more about the exact details and how much extra protection you can gain, call our office today for a free quote. There is no obligation and you'll leave the conversation knowing much more about your options than you ever thought possible. Let's say you have a general liability policy with $2 million in coverage. However, your business has been hit with a lawsuit for $2.5 million. This means you have effectively exceeded the coverage limits by $500,000. Without umbrella coverage, that amount would have to come directly out of your pocket. With the plan in place, however, you're protected from paying that cost. This example shows why umbrella insurance is the ultimate supplemental policy for your business. Unless you have the capital to cover these costs, having this extra coverage will provide great peace of mind and maximize financial protection. Please keep in mind that while umbrella insurance can provide significant strength to general liability policies, it does not apply to professional liability insurance. Fortunately, we offer plenty of coverage options for that particular policy so that you receive the most coverage that fits within your budget. Two types of coverage for which an umbrella policy is especially valuable are general liability and commercial auto, specifically for hired and non-owned auto policies. This is because the liability your company will face after an accident is typically enormous. Therefore, businesses which rely on transportation to any degree would be strongly encouraged to pick up this coverage. 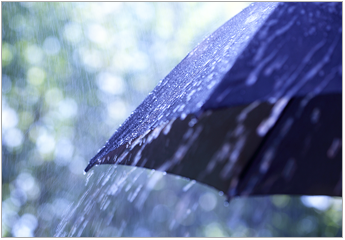 Contact us today to achieve additional protection and peace of mind with our umbrella insurance coverage. We're serving businesses throughout all of Texas including Spring, The Woodlands, North Houston, Cypress, and Magnolia, TX.